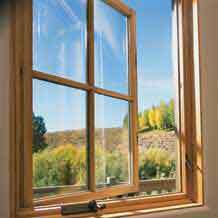 Windows are made from wood, aluminum, steel, vinyl, or fiberglass—or from a combination of these materials. In general, those that offer better weather protection cost more, but they pay off in low maintenance and energy savings. Wood tends to be the most popular window material, particularly for the parts of a window seen from indoors. Wood does not conduct cold or allow condensation as much as other materials do. However, wood is subject to shrinkage and swelling, so it will warp and rot over time—especially on the exterior—unless it is protected. 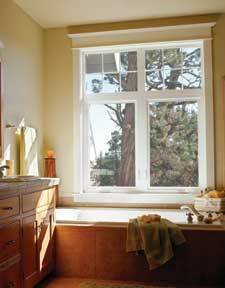 Wood windows typically come unfinished unless you order them otherwise. If you intend to paint them, you can save work by purchasing them already primed on the exterior and/or interior surfaces of the frame and sash. Or you may be able to eliminate painting altogether—some manufacturers offer prepainted windows in a number of standard colors. You will find that many of today’s windows have wood inside and a tough, attractive exterior jacket of extruded aluminum or vinyl outside. The cladding, available in a few stock colors, covers both the sash and frame. It keeps windows virtually maintenance-free for years. With vinyl, the color permeates the material so scratches do not show. Aluminum will scratch, but it is more durable and easier to paint (though it should not require painting, nor, for that matter, should vinyl), and it comes in a wider variety of colors than vinyl. Both types resist rust and rot. Vinyl windows are made from rigid, impact-resistant polyvinyl chloride (PVC) and have hollow spaces inside that make them resistant to heat loss and condensation. 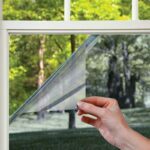 Inexpensive vinyl windows have a tendency to distort when exposed to extremes of heat and cold, making them harder to operate and allowing for air leakage. Vinyl windows cannot be painted, and darker shades may fade over time. Steel is more resistant to the elements than both aluminum and wood, but, because of the expense of steel windows, they generally are not used in homes. If you have the budget, however, these attractive, low-maintenance windows will last for years. 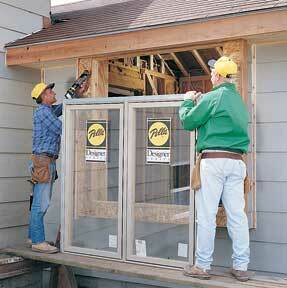 Aluminum windows are more durable than bare wood and are also thinner, lighter, and easier to handle. They are insulated with a thermal break of extruded vinyl and sometimes also foam, which reduces heat loss and condensation. Finishes protect the aluminum from corrosion but deteriorate in coastal areas because of the moist, salty air. 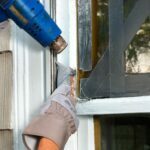 If you have old, drafty, and inefficient single- or double-hung windows, you may be able to replace them without completely tearing out the frames and preparing a new rough opening. 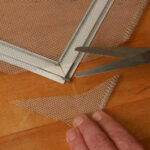 Instead, you may be able to install a sash replacement kit in the existing frame. These kits allow you to change an unsightly or poorly insulating sash window relatively easily. You can order a number of standardized sizes and styles that fit most frames. 1Remove the old stops, the existing window from the frame, and all the jamb hardware. 2Fasten metal brackets spaced evenly along both sides of the window, and then install new jamb hardware for the replacement sash. 3Install the new sash in the opening according to the kit directions. 4Finally, tack the original stops back into place.